If you haven’t noticed, AdPlugg has been growing, rapidly. Every month we are adding hundreds of new users. A large number of these new users have reached out to us with suggestions about what features they would like to see added to AdPlugg. We definitely have goals and a mission for our software but we don’t want it to be our software, we want it to be your software. Bum ba da bah!!! We bring you…AdPlugg’s Democratic Design! The AdPlugg system is your advertising system and we want you to have a say about what we add, what we change, what we take out, etc. That’s why we’ve just added a new Feedback and Ideas Forum. 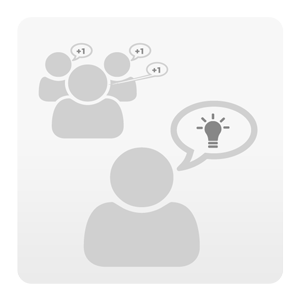 Using our Feedback and Ideas forum any user can post ideas, give feedback, make suggestions, etc. Each post can then be voted up or down and commented on by other AdPlugg users. We are going to work to get the ideas that get the most up votes into the software. We’ve kicked the system off by adding a bunch of the ideas that you’ve already submitted to us. Check out the forum and vote on the ideas that are already posted there. You’ll need to be logged into AdPlugg (get a free AdPlugg account) in order to vote on the ideas. Once you’ve read and voted on the ideas that have already been posted, post any other ideas that you can think of. This is what democratic design is all about. Get heard, give your ideas the opportunity to gain traction and support from the AdPlugg community and see them added to the system. We are very excited to bring your democratic design. Don’t want democratic design or don’t like how we did it? Post your suggestion or ideas to the Feedback and Ideas forum. Use democracy to change democracy.